Yesterday was opening date for Aptos Little League. I can’t believe it, but I am now in my fifth year of being a Little League parent. We started our oldest son Aiden with T-Ball when he wasn’t quite yet four years old. Our youngest son Evan started when he was four, and now he’s in his second season, still in T-Ball. Aiden is now in AA, and it’s starting to get real. All these years, I’ve been an assistant coach on the teams Aiden has been on. It’s a little ironic, because I’ll be the first to tell anyone that I know diddly-squat about baseball. Oh, I know the basics – three strikes and you’re out, nine innings, yadda yadda. But when it comes to the mechanics of playing baseball – how to throw a ball, catch, hit – I’m pretty clueless. I can do all those things to some degree, but I was never in Little League. The finer points were never taught in my PE classes in school. When the kids are really little, coaching didn’t involve a lot of those fine points. Mostly, it was me telling them not to eat the sand and play tag in the outfield. Now that we’re in AA, it’s starting to get serious, which is why this year on Aiden’s team, I’m now a bench coach. Is that even a real thing? I just googled it, and it turns out, it is – but I’m no second in command. My job is to keep the kids focused on the game when they’re seated on the bench, waiting for their turn at bat. There’s not too many fine points with that job, so I can handle it pretty well. My kids don’t have the advantage of a dad who’s super into baseball. Yes, I play catch with them and pitch balls for them to hit now and again, but not as much as I should. Throwing, catching, batting – they’ve learned almost all of it at Little League practice and games. And it is amazing to watch their progress. Neither of them came to Little League with a love of the game. We’ve been to AT&T Park a few times to watch the Giants play, and they’ve had fun – running around, eating ice cream and hot dogs and soaking up the energy – but they weren’t exactly intently focused on the game. Yet, there at Little League, you can see their skills mature, their confidence increase, and their enthusiasm grow with each day on the field. They’re learning about the value of practice, persistence, and teamwork – and it is a joy to behold. But there’s more to it than joy. It’s a strong reminder to me that we can all get better at anything – with grit, determination, repetition. Whether it’s being a parent, Real estate broker, or Guardian in the Crucible, practice makes perfect. Or at least makes it better. I’m really thankful to Little League for helping my kids with this important life lesson – and of course, also to the other parents and players who really enrich the sport and show what makes our such a special community. The MOD has a new Tinker Workshop! 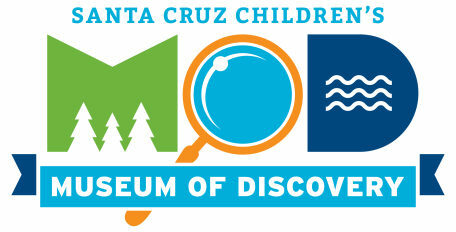 The Santa Cruz Children’s Museum of Discovery (MOD) is growing again! The mission of the MOD has always been to be an extraordinary interactive learning environment where children aged 0 through 12 can explore and discover our world. In its first years, the MOD has been catering to the younger end of the age range. The MOD has been a runaway success, particularly with parents and their children under age 7. Now, the MOD has secured additional space in the Capitola Mall, adjacent to its current site. In this space, they are working to create a new Tinker Workshop, targeted for children aged 7 and up. The MOD is inviting the community for a free sneak peek of their new MODWorkshop, where science, art, and technology intersect in a tinkering space! These classes will cost $20 for MOD members, and $25 for non-members. These classes are for parents and their child, working together on these projects. Email questions to: helenwight@sccmod.org; or call Helen (831) 999-0610 or the MOD directly at (888) 424-8035 for more information. Community Bridges will be hosting a Triple P 4-Week Brief Group starting in Aptos, beginning Tuesday October 25th and ending November 15th. The workshop is about Teaching Children to Share & Cooperate using Positive Parenting methodologies. Anyone may attend this free parenting group to learn how to teach your child to share with siblings and others, and get tips for staying calm and patient when problems do occur. This group meets once a week for four weeks every Tuesday between 6 and 8 PM. If you are interested in attending, please visit this web site to register or call (831) 465-2217. Community Bridges is located at 236 Santa Cruz Avenue in Seacliff Village, behind Manuel’s Mexican Restaurant. Ahh, summertime! 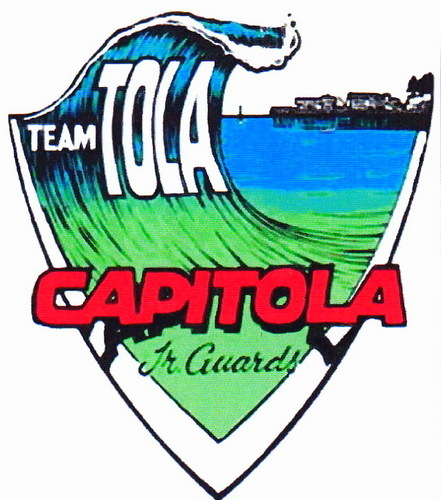 Last year I wrote about how we registered our son for Capitola Junior Guards. That was the last year, it seems, when folks had to get up at o’dark:30 to wait in line to make sure they got the session they wanted (now it’s all done online, boo hoo!). I don’t know how to surf – I tried it once, decades ago, and it seemed too much like work. But I’m proud of my boy, and it brings me incredible joy to watch him learn, and see how much fun he’s having. What’s also cool to me is that when I tell people, “Hey, my kid just stood up on a surf board for the first time the other day!” I get really warm congratulations from them. Around here, it’s like a rite of passage, and folks are genuinely stoked to hear that Aiden is on his way becoming a surfer. Of course, it takes a village. Since I myself don’t know how to surf, we asked the son of a friend of ours – who I met, years ago, when I helped them buy a house in La Selva Beach – if he could given Aiden a few lessons. The Santa Cruz Public Library System (SCPL), a network of 10 neighborhood library branches throughout Santa Cruz County, today announced the return of its annual kids’ chess tournament at the Aptos Library, its 14th Annual Tournament. The tournament will be held on Saturday, May 28 from 12:00-4:00p.m. Children between the ages of 6-18 years old are invited to participate. The tournament is free to enter, but preregistration is requested. Visit or call the Aptos Branch Library at 831-427-7702 to register. Aptos Library resident chess master Dana MacKenzie, who teaches the library’s weekly chess club on Tuesdays, organizes the tournament each year. Participant check-in will take place from 12-12:30 p.m. Game rounds will be held at 1:00p.m., 2:00p.m., and 3:00p.m., with an awards ceremony at 4:00p.m. Light snacks will be provided by the Friends of the Aptos Library. Weekly chess clubs for kids ages 6-18 are held at the Aptos Library Tuesdays 3:30-4:30p.m. Weekly chess clubs are also held at the Downtown Library every Saturdayexcept the 1st Saturday of the month from 2:00-3:30p.m. The Downtown Chess Club is led by Chess Master Gjon Feinstein. Synergy Dance Fitness and Tai Chi instructors are available for private dance lessons, and the entire studio space is available for rent for your own dance parties! They also host special events such as dance and magic shows for kids of all ages. They have a special, limited time offer – 10 classes for $100 where you can take any class you want, so mix and match! The annual youth Chess Tournament at the Aptos Library will be held on Saturday, May 16 from 12-4 PM. Children between the ages of 6-18 years old are invited to participate. All participants will receive a certificate, and medals will be awarded to the top three finalists. The tournament is free to enter, but preregistration is required. Aptos Library resident chess master Dana MacKenzie, who teaches the library’s weekly chess club on Tuesdays, organizes the tournament each year at the library. Participant check-in will take place from 12-12:30 p.m. At 1 p.m., participants will play three games with no eliminations. Light snacks will be provided. 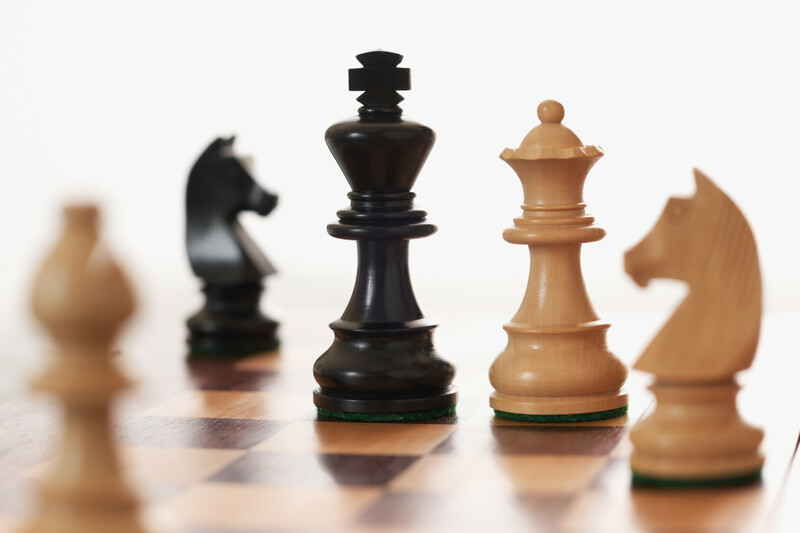 Call the Aptos Branch Library at 831-427-7702 to register for the chess tournament. This should be a wonderful event for young chess players – even if your child doesn’t (yet) play chess, consider going to this event anyway, as it’s a fun and free event for families in our Aptos community. British Soccer Comes to Aptos this summer! The Aptos Soccer Club is hosting British Soccer, which kicks off June 8th and runs for the week to June 12th, and also from August 3rd to 7th. Each child will be coached by a British soccer coach flown to the USA exclusively to work on this program. The British Soccer camp is being put on by Challenger Sports, which will hold over 3,500 Soccer camps this summer and will coach over 140,000 players between the ages of 3 and 19. Challenger’s 1,0000 touch coaching syllabus provides an innovative daily regimen of foot-skills, moves, juggling, tactical practices & daily tournament play. Space is limited – parents are encouraged to sign up on line in advance to avoid disappointment. Find out more information at the Challenger Sports web site. I’m a morning person – I’m usually up by 5 or 5:30 AM, sometimes even a bit earlier than that…and I don’t have to set an alarm to do it. But on Monday this week, I actually did set my alarm for 4:00 AM so I could get in line for the Capitola Junior Guards Registration at the Capitola Recreation office at Jade Street Park. In case you haven’t heard, the Capitola Junior Guards is a program that gives instruction in the fundamentals of ocean water safety, first aid, lifesaving, fitness, and good sportsmanship. The program features open water swimming, paddle boarding, body surfing, surfing, mock rescues, beach & water games, calisthenics and work-outs. There are two sessions each summer, each lasting about a month, with classes every day, Monday through Friday. When my alarm went off that morning, I tumbled out of bed and into my clothes, grabbed my keys and a light jacket, and headed out the door. I didn’t know what to expect – I figured I’d probably be one of a handful of people there when I showed up around 4:20 AM. Imagine my surprise when I got there and found that I was already the 16th person in line at that time. Three people had actually spent the night, to make sure they got into the session they wanted to. It was fun to see that a half dozen friends of mine were already in line, too. It turns out, that was no coincidence – my wife had talked with a bunch of other moms and they’d decided they wanted our kids to be in the afternoon “class” in the first session. There was some drama, though: there was a notice on the glass door of the Recreation office indicating that only ten spots were available for the class that we wanted. Almost everyone in line had a six year old kid, like my son, and they all wanted the first session afternoon class as well. There are two classes per age group per session, and the morning class was full even before registration day. This is because slots are given automatically (to those who want them) to children of families who have previously been registered for the Junior Guards. As the hours wore by, the line got longer – a lot longer. Around 6:30 AM or so, someone from the Capitola Junior Lifeguards Parents Club brought over some great Peet’s coffee – that was a nice surprise! A little before 8:30 AM (when the Recreation office opened), someone came out and put numbered stickers on everyone, which identified their place in the queue. I’d say there were close to 150 people who got a numbered sticker before the doors even opened. Happily, it turned out that they had mis-counted the number of available slots; 15 were available for the class my friends and I had wanted, and I was able to register my son successfully. I have lived in Santa Cruz for over twenty years now, and I’ve been aware of the Junior Guards for much of that time. It’s a local institution, and you could really feel the sense of community which was I think shared by everyone standing in that line with me. I’m so happy that our son Aiden will get to be in a class with so many of his friends. Technically he won’t be a Junior Guard – he’ll be a Little Guard, which are kids aged 6 through 8. I’m looking forward to seeing him progress and grow over the years with the Capitola Junior Guards. Spring Break is Happening at the MOD! Spring has sprung, and thousands of Aptos area families with children aged 2-12 will be looking for fun, exciting, yet affordable ways to enjoy their spring break. This year there’s a new option for us: Spring Break is Happening at the MOD! The Santa Cruz Children’s Museum of Discovery (MOD) has a packed schedule for kids, with classes being held Monday through Friday at various times. Classes include Edible Art, Geometric Abstract Art, Animal Masks, Chromatography Art, Conversations in Spanish, Mad Science with Alicia, Music Together, and many many more! Click this link for the complete list of classes and class times. You can also use this link to download the class schedule. Classes are free to MOD members, or with admission to the museum. Admission is $7 for adults, $5 for children ages 2-17, and kids under 2 get free admission.